From 28 February 2017, civil society nutrition champions from 12 SUN Countries came together for a four-day workshop in Dakar, Senegal, to strengthen advocacy capacities for scaling up nutrition. 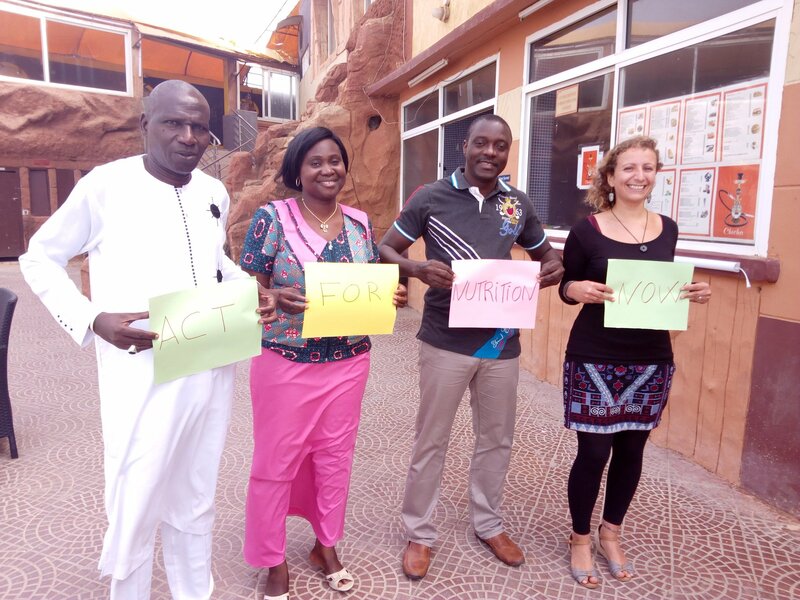 The SUN Civil Society Network Workshop was organized by Action Against Hunger and its partners – UNICEF, Save the Children and Terre des Hommes. Representatives of SUN Civil Society Alliances came from Burkina Faso, Côte d’Ivoire, Guinea, Liberia, Mali, Mauritania, Niger, Nigeria, Senegal, Sierra Leone, Chad and Madagascar. The workshop strengthened capacities of participants to analyse, influence and monitor public policy, as well as various thematic advocacy areas. This reinforces the efforts of organizations involved in the fight against malnutrition to ensure accountability for political and financing commitments in favor of nutrition. Participants discussed methodologies and tools for multisector public policy influence and budgetary advocacy, shared their best experiences – including engagement with parliamentarians, media – and worked together to overcome common challenges faced by SUN Civil Society Alliances. During the workshop, a high-level roundtable gathered representatives from the Government of Senegal, ACF, UNICEF and Gates Foundation.